I have said it hundreds of times during my time writing about harness racing and I am going to say it again. The game is like no other. 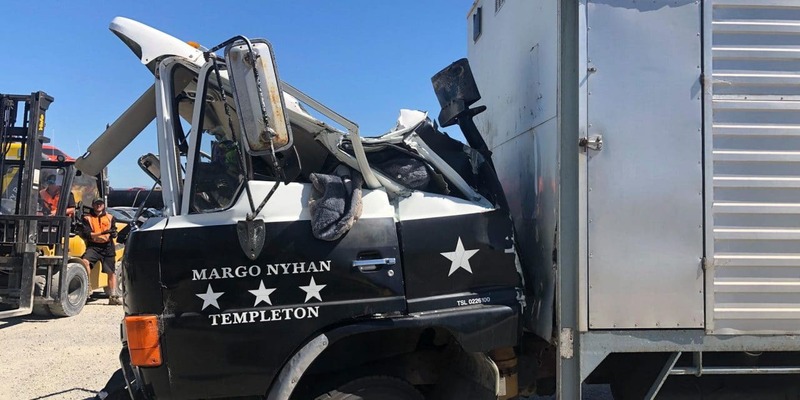 That point was proved in remarkable circumstances last week when the industry rallied to support Margo Nyhan and Peter Davis, following a horrific road accident. I watched from afar with a sense of pride for the industry as huge amounts of money were gathered and a lengthy list of offers of help came flowing in for the couple. Harness racing is the most unique business, where rivals would not give each other an inch on the track, but off it they would go they extra mile for each other. I am sure the industry would rally around many other trainers in the same circumstances. However, in this case, it looks certain that Nyhan and Davis’ popularity and reputations as great people, who contribute positively to harness racing, encouraged their peers to rally around them. Here’s hoping they can get back on their feet as soon as possible. I have largely stayed out of commenting on the disqualification of trainer Darren Weir until now. And that is not about to change very much. Obviously this is a harness racing column – so debating the details of what Weir may or may not have done is a bit pointless. But, where this is relevant is the how seriously animal rights issues are taken by those outside of harness racing. And that should absolutely be the case. But, Weir’s case has just put a massive spotlight on the issue. Society expects the highest in animal rights from any industry. You can ask anyone in the rodeo business all about that. Most will attest that the vast majority of harness racing participants are brilliant horse-people that care deeply for their horses and would never see them harmed. I would certainly argue that is the case. The question I have is where is harness racing leaving itself open to criticism. Obviously it is impossible to police rogue operators. But, I would suspect there would be very few of those around. Perhaps the one thing that harness racing is most susceptible to criticism is its whip use. New Zealand is one of the very few racing jurisdictions in the world that allows whipping with a free hand. Perhaps it is time for this to go. Perhaps anything more than a flick of the wrist is enough. I am sure there will be many who would argue differently. Insiders whinge at length about harsh whip rules and the fines that are handed out to drivers. I do not like to see any driver out of pocket, but that fine system is a separate issue. Perhaps when put in a wider perspective the current whip rules are not worth complaining about. It is the fine system and the education of repeat offenders that needs adjusting. One thing is for sure, whip rules will only get stricter in time. I will lay my cards on the table right from the start with this one. I am particularly intrigued about how the stock of Roll With Joe sell at the yearling sales. I have the smallest of shares in a Roll With Joe filly, so I will declare that from the get-go. I am not sure if that spurred my interest in this stallion, but I am certainly taking notice of the standout results his stock have produced recently. That has been led by Muscle Factory and Ignatius in Australia. Roll With Joe has just 21 live foals here that are three-year-olds and older, so he has not had much of a chance to make an impact. All but one of the six Roll With Joe yearlings in this year’s sale will be offered by Lazarus’ co-breeder, Brian West. One more from the successful ‘Tact’ breed, of Southland, will be offered by Laura Smith. Roll With Joe can certainly leave a nice type, but how will his limited exposure in New Zealand affect his yearlings? I guess it will not be long until we find out.